The focus of the first volume of Karl Ove Knausgaard's six-book series My Struggle is in the foreground of its narrative and in the title of the UK edition – A Death in the Family – which for the book-devouring industry mitigated such a prolonged presentation of one man's relatively ordinary childhood and youth. And you can expect the content of the second – A Man in Love – to do the same: the author's romance, marriage and parenthood will occupy review coverage alongside doubts as to the value such indulgence has now that the initial hit has been absorbed. Isn’t this now going a bit too far? What purpose can repetition serve? It should at least contradict the impression that My Struggle is a traditional bildungsroman, a genre in which the book we are reading is the vantage point from which all the missteps and miseries, all the highways and byways of the individual on his path to the summit, can be surveyed: the relief of a landscape. Knausgaard is not an old man; a knowing distance is not an option. Archipelago Books’ bold decision to place the original title in the foreground of the US edition enables us to focus on what's key to Knausgaard's struggle: the background. After all, in terms of the writing there is little difference between volumes one and two: in both the prose is straightforward, the characters memorable and the chronology clear, even when Knausgaard interrupts a domestic cliffhanger to plummet back in time only to resolve the issue in one sentence 236 pages later. The writer himself vindicates the impression when he says the length and speed of the writing were important formal constraints. Let's be clear: My Struggle is not about the life of Karl Ove Knausgaard. The interminable specifics of the content are superficial necessities for an experiment in stretching the everyday to such a degree that it becomes translucent, for light of a kind to shine through. He turns to literature and reads Hölderlin’s poetry and Dostoevsky’s novels and discovers “that was where the light was. That was where the divine stirred”. Light and the divine were also the focus of the fictional speculations in Knausgaard’s remarkable novel A Time to Every Purpose Under Heaven. As a child Antinous Bellori witnesses two angels at the riverside in a dark forest and spends the rest of his life pursuing the nature of their existence on earth. The task of My Struggle might be similar. Why does Knausgaard respond so powerfully to works art and literature? It wasn't always this way. The angel of poetry was once closed to him. The poems looked into another reality, or saw reality in a different way, one that was truer than the way I knew, and the fact that it was not possible to acquire the ability to see and that it was something you either had or you didn’t condemned me to a life on a lower plane, indeed, it made me one of the lowly. The pain of that insight was immense. The fact that paintings and, to some extent, photographs were so important for me had something to do with this. They contained no words, no concepts, and when I looked at them what I experienced, what made them so important, was also nonconceptual. There was something stupid in this, an area that was completely devoid of intelligence, which I had difficulty acknowledging or accepting, yet which perhaps was the most important single element of what I wanted to do. 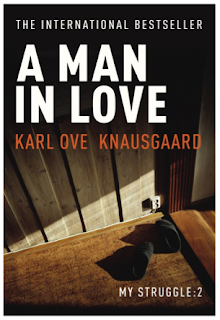 The danger here is revealed in the form: Knausgaard is merely describing this in essayistic fashion, and no matter how aware the author is of the contradictory direction he has taken, the familiar mode of discourse envelops the world, casts a shadow on the open. “Everyone can write essays! It’s the easiest thing in the world” his friend Geir complains. But Knausgaard is not a painter or photographer, and he certainly isn't Paul Celan. For this reason he must fill his books with the sensory particulars of existence – the storm blowing through our world, as he puts it – as a means of approaching the nonconceptual. 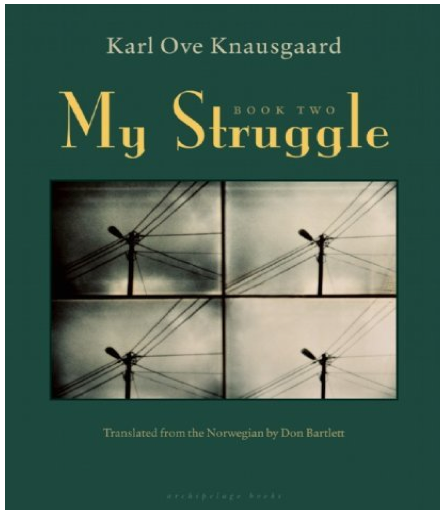 So while Knausgaard contextualises and investigates his experience with exceptional clarity and intensity – which alone justifies My Struggle as a project – it is a struggle lost in advance. “Come on! Into the open, my friend, as Hölderlin had written ... But how, how?”. A book review pursues the same circular path without asking the same question, tending to light upon statements and notable events as an alibi for disregarding the silence within writing. It is the regrettable fate of literary genre. Knausgaard’s method then is to use length and speed to evade the tyranny of form, and speed is the best method for the reader too, enough to appreciate that dwelling on the author's life and opinions is to close the door upon the light. WG Sebald's remarkable essay Across the Border, on Peter Handke's 1986 novel Die Wiederholung, translated by Ralph Manheim in 1989 as Repetition, has been made available in English by Cannon Magazine. You can download it as a PDF. Even better news is that The Last Books press is reissuing the translation later this year alongside Scott Abbott's translation of Handke's book-length poem To Duration, published in the same year. This is especially gratifying for me as Handke was one of the first writers to reveal the potential for writing beyond the shameful lowlands of contemporary English literature, and Repetition one of the most rapturous reading experiences of my life. A quarter of a century or a day later, I tried to write about this in an essay.